The Indian Giant Flying Squirrel is one of the largest flying squirrels, similar in size to the Red Giant Flying Squirrel found in East Asia at about 43cm long with a 50cm tail. They have a rufous coat, grey underparts, and large, round eyes. 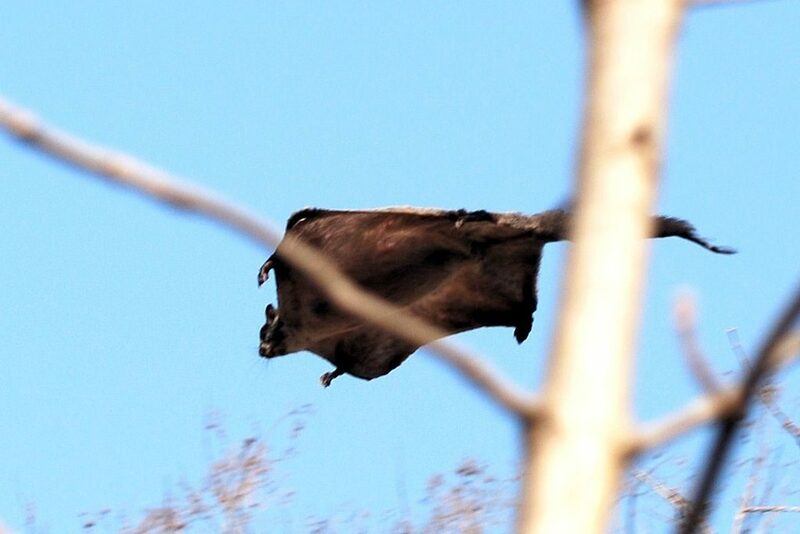 Their flying membrane extends from their wrists to their ankles, which enables them to glide from tree to tree. These squirrels are most active just after dusk, when they forage in the canopy on plant materials from species such as Madhuca and Bahera trees. They tend to consume the pith of the plant, but will also feed on twigs, leaves, bark, flowers, fruits and seeds. Males have much larger home ranges than females, which suggests a promiscuous mating system similar to other flying squirrels, but relatively few behavioural studies have been conducted on this species. They sleep and raise young in hollow trees they line with bark, fur, moss and leaves, and are generally solitary but will be social in areas where food is abundant. After gestation of around 46 days, young are born within the mother’s tree cavity and raised only by the mother. 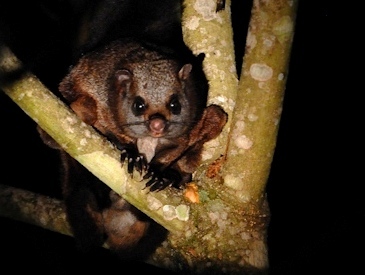 Although named the Indian Giant Flying Squirrel, this species is fairly widely distributed throughout Asia and can also be found in China, Laos, Myanmar, Sri Lanka, China, Thailand and Vietnam. They can be found in dry deciduous and evergreen forests, but are tolerant of human disturbance and can be found on plantations. This species is currently not of conservation concern, but could decline with increasing habitat loss. It is hunted for food and medicinal purposes in South Asia.